RISK. It’s an inherent factor in every business endeavor. Mix in passion, drive, vision and persistence, and you’ve got the makings of a successful enterprise. Back in the early ’80s, Gary Meadors had a vision to create a show series where hot rod and classic car and truck enthusiasts could come together to show off their vehicles, cruise, bench race and bond over the sights of glistening paint and chrome and sounds of crackling cams and thumping exhausts. A devout gearhead himself, Gary had a deep-rooted passion for all things hot rod. Having had experience in promoting hot rod shows since 1973 and working for National Street Rod Association as an event director, Gary possessed pure passion for the world of hot rodding and had experience in what it took to pull off a successful event. He rowed the gears of determination, doubled down on his passion and took the show on his own road and started Goodguys in 1983 and incorporated in 1987. With his wife Marilyn and boys Marc and Marty by his side, Goodguys accelerated through the decades and today has flourished to a membership of more than 70,000 people and 19 events that corral some of the nation’s finest hot rods and, more importantly, people together. Sadly, Gary Meadors passed on December 27, 2015, leaving behind a hot rodding legacy and tradition in Goodguys that his family and long time devoted staff continues today. 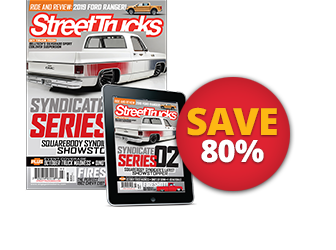 Street Trucks caught up with longtime friend and Goodguys Senior Editor John Drummond to capture the history of Goodguys Rod & Custom Association. 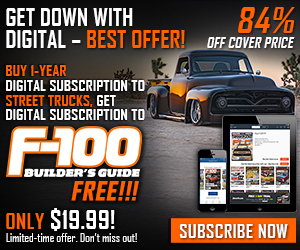 Fasten your lap belts, grip the shifter, plant the fun pedal and hang on for this camshaft thumping, tire burning, rev limiter tappin’ look into the world of Goodguys. Street Trucks: What year did Gary and Marilyn Meadors start Goodguys Rod & Custom Association? How did it begin? John Drummond/Goodguys : In 1987, Gary and Marilyn incorporated and that was the first full year of the Goodguys show series. It began and was born out of Gary’s previous experience promoting hot rod shows since 1973. Having previously worked for NSRA as an event director, Gary took his knowledge of how to promote and set up and run events, and teamed it with his passion for hot rodding, and he and his wife Marilyn launched Goodguys. ST: How many shows are there today? JD/Goodguys: We host 19 shows per year. 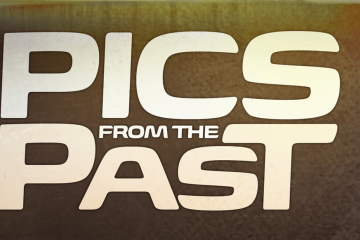 ST: What was the original show/ event, and where was it located? Was the company originally run out of the Meadors’ home? JD/Goodguys: The very first Goodguys event was dubbed the “Goodguys Get Together.” It was held in 1983 in Pleasanton, California, at the Alameda County Fairgrounds. The Meadors family was the original “staff”—Gary, Marilyn, Marty and Marc Meadors worked together and ran Goodguys in the early days right from their kitchen table. During the formative years of the company, Gary and Marilyn took out multiple loans against their home in Alamo, California, to build the Goodguys name. Their passion and persistence paid off. ST: How many employees does Goodguys have today? ST: Recently Goodguys expanded its year allotment to 1987. Can you talk about that? JD/Goodguys: Many in the baby boomer generation are transitioning into a stage of life where they can’t go hot rodding as robustly as they once did. The industry is growing at a rapid pace with performance parts and accessories to outfit post ’73 cars and trucks. 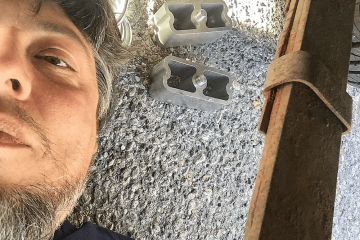 The makeup and the landscape of our hobby is changing where the middle-aged hot rodder is building a vehicle he/she grew up with or maybe had in high school and they want to relive those memories. The age of those attendees aligns with later model vehicles to serve as the hot rodding platform. ST: Having been with Goodguys a long time now, how have you seen the shows change as far as vehicle popularity, age range of attendees, events within events, etc.? JD/Goodguys: I have been with Goodguys 28 years. In fact, my first interview was in the Meadors family kitchen. Throughout the years of working the event series, I have seen the trends change from the blown pro street ’41 Willy’s pastel wearing ’80s to the smoothie cars of the ’90s and 2000s to the Rat Rod movement. 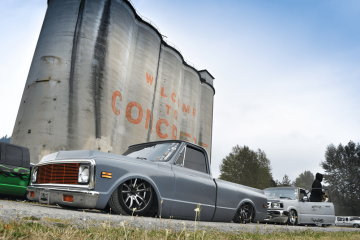 We then shifted into Pro Touring and Resto Mods, and lately traditional hot rods have been all the rage with a big splash being made in post ’73 vehicles, especially C10 pickup trucks. I make it a point to spend about an hour standing at the front gate at every Goodguys event during Saturday roll-in to get a visual snapshot of what is “trending” and what cars are prevalent. By my observation in recent years a solid 65 percent of the vehicles rolling into our events are post-’50s/’60s cars and trucks. It used to be a sea of ’32 roadsters, Model As, ’30s and ’40s Fat Fender cars. Regarding events within events, we have gone from “lawn chairs to seatbelts” where a portion of our attendees want to drive and compete with their hot rods. Auto Cross has become a staple at our events where enthusiasts can get some accelerated, corner carving seat time. It’s fun for spectators to watch and listen to as well. Our Goodguys Road Tours provide an opportunity for attendees to enjoy their hot rod out on the highway with other enthusiasts. Goodguys has always had the motto of “Ya Gotta Drive ‘Em”! 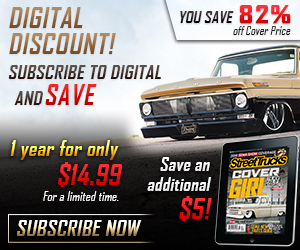 ST: When did the Goodguys Gazette come to life and become part of the Goodguys membership package? JD/Goodguys: In 1989. It started as a bi-monthly 40-page black and white rag, and over all of these years has evolved into a monthly full-color publication. It gives us a chance to capture the “experience” of our events and for our members to relive them. We know that even when our hot-rodding membership is not behind the wheel of their pride and joy, they are likely arm chair hot rodding from their Lazy Boy. The Gazette helps re-create the experience. ST: What does the future hold for Goodguys Rod & Custom Association? Expansion of events? JD/Goodguys: I think we are always open to expansion. 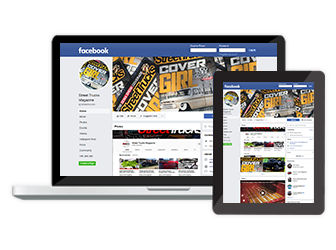 We are committed to providing a platform for hot rodding to continue to “show off” whichever direction the industry and the trends go. ST: Marc Meadors is running Goodguys today. Any other family involved in the day-to-day? JD/Goodguys: Marilyn Meadors is a board member. Marc Meadors of course serves as president, COO. ST: What’s Your Favorite Part of your role at Goodguys? What do you enjoy most about the events? JD/Goodguys: Really cool cars and people. We are in the entertainment business. Enjoying all of the bitchin cars! I would be screwed if I had to go get a real job. ST: What do event goers seem to love most about Goodguys events? The cruising? The quality of the iron in attendance? The laid back atmosphere? The variety of sights, sounds, etc.? 1947 Plymouth, which he cut the coils on to achieve the requisite “Meadors stance.” It was ’50’s era hot rodding at its finest. A neighbor of Gary’s had a ’47 Dodge with a loud exhaust and every time he came home and “rapped” the throttle, it got the fuel in Gary’s veins flowing. The road leading up to Goodguys was built from a very young age in Gary as his life’s journey always involved hot rods and hot rodding people. 1973 The Norcal Early Iron Car Club, a club Meadors helped create in Fremont, California, hosted the first “Street Rod Mini Nationals” at the Lodi Grape Festival Grounds, which drew in more than 500 hot rods. The success of this event motivated and inspired Meadors to move forward as a successful event promoter. The concept of Goodguys was on the horizon. 1983 Gary and his high school sweetheart and bride for over 50 years Marilyn Meadors hosted the very first Goodguys event known as the Goodguys Get Together held at the Alameda County Fairgrounds in Pleasanton, California. 1987Gary and Marilyn incorporated the Goodguys name and hosted the first full years of Goodguys event series. 1989 The Goodguys Gazette was born as a 40-page black-and-white rag. 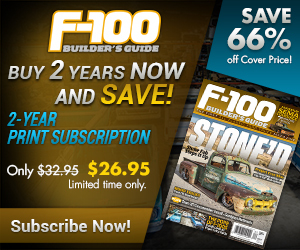 The book has evolved today into a full-color magazine offering members an entertaining and informative arm chair hot rodding experience. It was first published out of the Goodguys offices in 1989 in Alamo, California. 1989 Goodguys had grown to Pleasanton, California, Southern California, Ohio, Georgia, Pennsylvania and more. Vintage drag racing events were added to the Goodguys event docket in California and Indiana. 1994 Gary joined the 200 MPH club having driven the Dozier & Hagerty Chrysler straight-eight powered streamliner to a top speed of 223 mph. 1998 Meadors and Goodguys launched the Goodguys Trendsetter Award designed to honor rising young hot-rodding craftsman. Chip Foose was the initial recipient. 2008 AutoCross was incorporated into Goodguys events and is now held at 16 Goodguys national events offering five classes of completion, a season-long point series and year-end championships. 2009 Gary and Marilyn backed off on the Goodguys throttle slightly and let their son Marc Meadors take over as company president. The company enjoyed further growth under Marc’s leadership, reaching new generations of gearheads and providing Gary and Marilyn a chance to take their hot rods out on the open road. “What I like most is the reliability of them. What I mean by that is I know I can count on having a great time while I’m there. Goodguys events deliver the goods! Not only do I enjoy looking at all of the bitchin’ cars and trucks, but with the cruising that occurs at all Goodguys events I get to hear and enjoy the rumble of the exhausts and the crackle of the camshafts as I watch the polished wheels turn. There is ‘motion’ in these events, which celebrate American hot rodding and cruising culture at its finest.